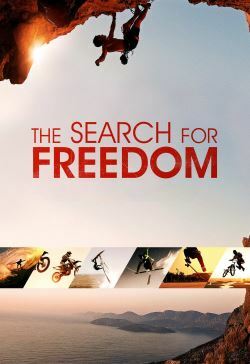 THE SEARCH FOR FREEDOM is the story of a cultural revolution fueled by the human desire to live in the moment and do what makes you feel the most alive. We discover how an electrifying new world came about through pure energy and imagination and the infinite possibilities of self-expression available to anyone willing to drop in. This documentary is a visceral, visual experience told through the eyes some of the brightest pioneers, legends, visionaries and champions of surfing, snowboarding, skiing, skateboarding, mountain biking and more.